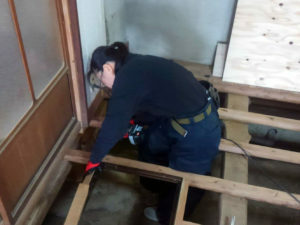 We are renovating traditional Japanese houses by DIY. 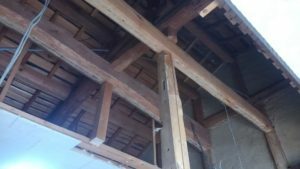 This blog is about the construction work of the floor continuing to the previous “DIY renovation of traditional Japanese house ―― part3”. 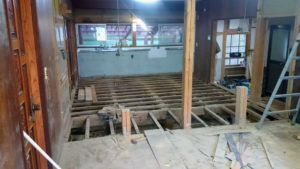 As shown in the picture below, we have removed old floorboards by the previous time. 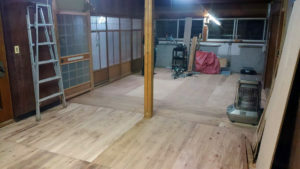 Next we will put up new floorboards. First we tried placing a new floorboard. 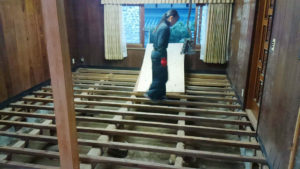 When placing the floorboards in this way, we can imagine the completion. So we got to enjoy the work. 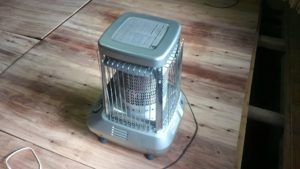 However outside cold air enters in the absence of floor boards and it is very cold! The coldness is dangerous for us who are not young anymore (haha). That’s what we put in there! 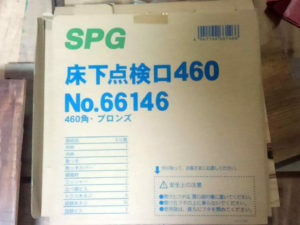 It is a big oil stove. We can work calmly with this! We installed the underfloor inspection hole and repaired the frame of underfloor which was getting worse. And we lay all the flooring boards for a couple days. Oh oh, very nice! Originally it was two rooms, but now it is a spacious dining room. 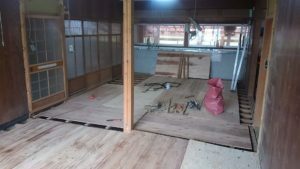 We are going to lay the flooring further from above in the next work . But before that we have to repair the ceiling. 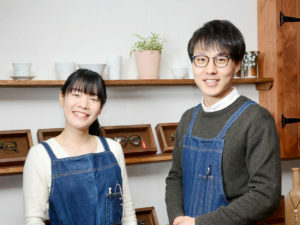 This year’s work is over for us. 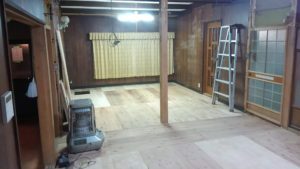 We will do our best to renovate our old house Next year too. You can look forward to it.